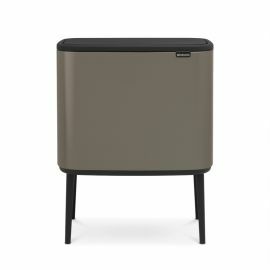 Our hand-picked selection of kitchen bins includes a whole range of options of shapes, colours and sizes - this selection focusses on single compartment freestanding bins. 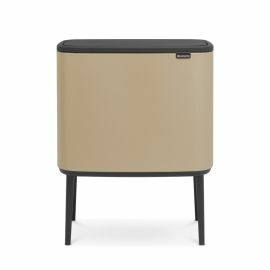 We’ve chosen these bins for their great functionality and style that will make a daily job so much easier, fun and keep your kitchen looking smart. 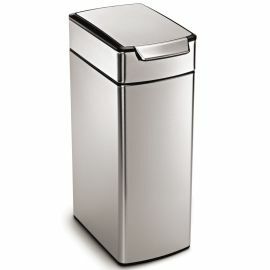 These bins have one compartment and come in a wide choice of sizes, shapes and opening styles. 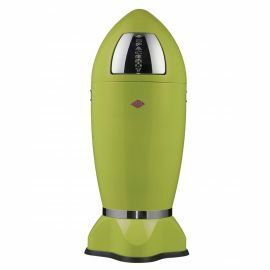 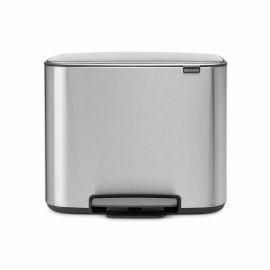 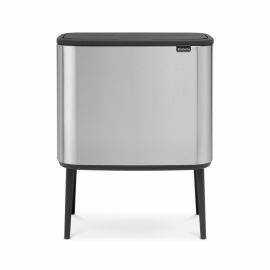 Our bins are from top quality brands including Simplehuman, Joseph Joseph, Brabantia and Wesco and come packed with design features. 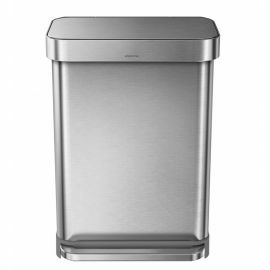 These can make a real difference when you use your bin many times a day: soft-close lids, lids that won’t hit your wall on opening, anti-vacuum inner buckets which mean your liners will pull out easily when emptying and pedal bins weighted so that they don't skid around on the floor. 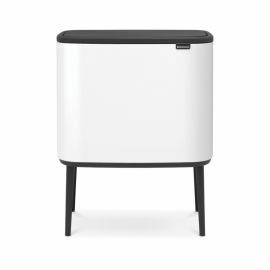 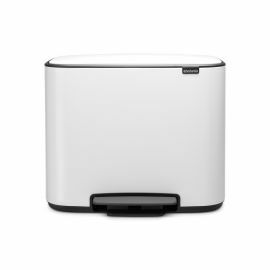 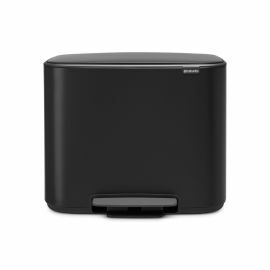 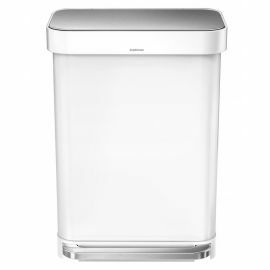 In the range we have space saving bins such as slimline, narrow footprint designs including the Simplehuman Butterfly bins, and designs which sit flush to the wall including the Brabantia flatback. 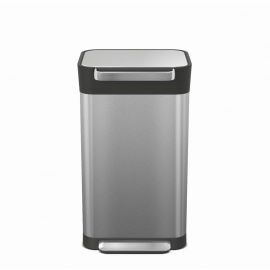 Your bin can look great in your kitchen using Stainless Steel or a neutral colours such as cream, white or black to blend with your décor. 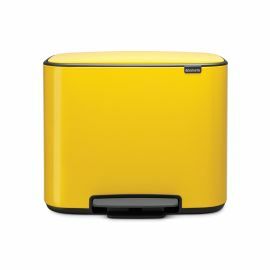 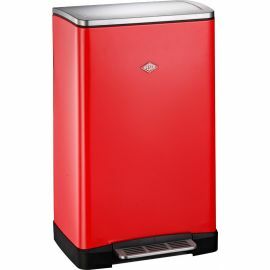 Many of our Wesco products come in a wide range of colours (the iconic Wesco Pushboy 50 Litre bins comes in over 15 colours including red, lime green, yellow and more subtle colours such as mint and cool grey). 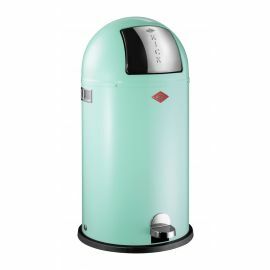 So you can choose to blend your bin in with your colour scheme or alternatively provide a punch of colour as a contrast. 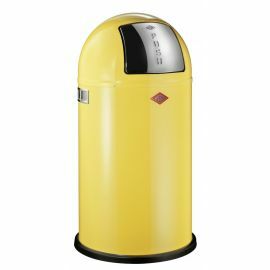  Our bins start at 15 Litres and go up to over 70 Litres so there’s a bin to suit any size of household or situation. 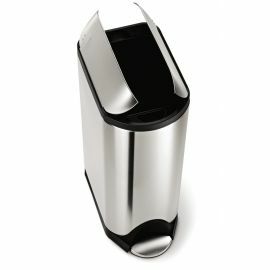 We also have a great range of kitchen recycling bins with 2,3 or even 4 compartments.